You know the major players in what’s being called the ‘Sharing Economy’: AirBnb, CraigsList, ebay, FreeCycle.com. I suspect that if we take a page out of their book, we can bring neighbors together online and off and accelerate efforts towards getting to ‘zero waste’ in our communities. By facilitating the process of moving our stuff from peer to peer, via sharing more (and shopping less), we can help keep unwanted stuff out of landfills, and cut down on the waste associated with consumption (buying new things). Importantly, importantly, we can attract new folks to the ‘waste cause’ by showing them how ‘sharing’ helps them connect socially and have fun, make a little money or save some, and declutter and de-stress. Intrigued? Here’s 7 ways to get your entire community working together to share more to cut down on waste and live better. Online sites like CraigsList, eBay, and Facebook “For Sale or Swap” sites connect peers in buying and selling unwanted stuff to each other. So can community-based sharing events like stoop sales, yard sales, and white elephant sales. Take the rummage out of the sale: focus neighborhood sales events around a single theme and coveted items like food, sci fi books, vintage clothing, and toys for kids. Stop buying. Start renting. Start saving money. You can now rent practically anything online, including as we’ve been showcasing on WeHateToWaste.com, like formal wear and accessories, and graduation gowns. You can even rent jeans from MUD in the Netherlands. These days, too, you can rent your own stuff out to others, using a site like CraigsList, but some legal stuff applies. ASK: What would you and the neighbors like to borrow from your local library? 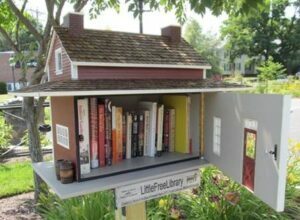 In the meantime, create a little free library of books or other lendables in your own yard or even office cubby. (Learn how to start a little free library HERE). Also, check out peer-to-peer online platforms, like NextDoor.com Peerby.com and Neighborgoods.net that let neighbors borrow things by just posting a request. Why buy, maintain all the stuff we rarely use when it’s possible to conveniently share stuff with neighbors? If we can share Bikes in cities, why not other stuff? Let’s start with ‘bag shares’ in stores as a solution to the problem of forgetting to bring one’s reusable bag. Live in an apartment house? Need an umbrella in your place? How about a wet one? Try ganging neighbors together to start an umbrella share in the lobby. Food counts, too! While you’re in sharing mode, consider sharing the leftovers and other edible odds and ends by inviting friends over to an Empty the Fridge “leftover pooling” party (a variation on pot luck). If I’m allowed to dream, I wish I could share a vacuum, iron and ironing board — and all kinds of other clunky household stuff — with others in my apartment building. I picture a ‘Sharing Closet’ just down my hall (it’s likely to be run by neighbors but perhaps down the road, it’s run by Home Depot for a service charge or just by the members of the coop). In my home town, New Yorkers can’t get enough of the new Stop n Swap events that GrowNYC have been running at various locations around the city. Now everyone can get in on the fun. Turn swapping into an opportunity to socialize with neighbors and friends by staging your own swap event for clothing, books, food, even unwanted holiday gifts. Here’s a LINK to a full page of resources that New Yorkers are using to share these days. Swap anytime and all the time by re-purposing a cardboard box as a “Free Stuff” box anywhere that people congregate. All it takes is a repurposed cardbaord carton to get started. Encourage folks to drop in household articles or specific items like dry foods, toys and games or back to school supplies. Think bigger and start a neighbor ‘swap shop’ like the Re-center that just opened in Northampton, Mass. Or the Free Store of the University of Louisville. Donating to charity thrift shops (and the possibility of a tax deduction) needs no introduction. 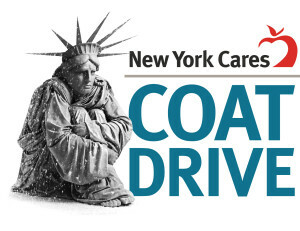 Again, to ‘take the rummage out of the sale’, are single-item donation opportunities to meet specific needs of neighbors like NY Cares winter coat drive, Materials for the Arts, an extraordinary not for profit in NYC that provides donated art supplies free to teachers, and MoveForHunger.org, that picks up food from your pantry on moving day for redistribution to the needy. Freecycle.org. is part of a thriving gift economy, as is ‘The Buy Nothing Project’ that describes itself as “a way to give and receive, share, lend, and express gratitude through a worldwide network of hyper-local gift economies in which the true wealth is the web of connections formed between people who are real-life neighbors”. Buy Nothing groups that work via Facebook exist in all 50 states and numerous countries around the world. Learn more HERE. In a future post, I’ll talk about opportunities to bring folks together to share skills as a way to help achieve zero waste. Meanwhile, try out some of these new opportunities to keep your stuff moving while introducing friends and neighbors into positive, community-based waste practices. Please share your experiences with us at WeHateToWaste.com. The possibilities are endless! 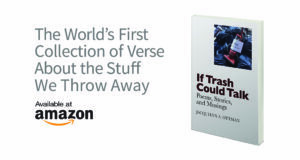 This and other stories published on WeHateToWaste.com are intended to prompt productive conversation about practical solutions for preventing waste. Opinions expressed are solely those of the contributors and WeHateToWaste implies no endorsement of the products or companies mentioned. All comments will be moderated. All postings become the property of WeHateToWaste.com. Hi Jacquie! I really enjoyed reading this article, it reminded me of research I have completed regarding the emergence of Local Exchange Trading Schemes (LETS) in the UK – a local currency mechanism that fosters a sharing economy and sustainable consumption. There are interesting challenges to be faced in applying LETS systems to urban environments, in particular how to define and demarcate a ‘community’. 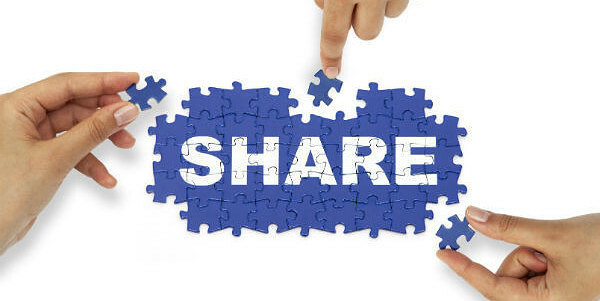 Might you have any suggestions as to how we might be able to scale up sharing systems? If I could choose one sharing idea to scale up, it would be extend every public library’s mission from lending books to lending things. Every community everywhere has items they are willing to donate to a local library and everyone in those communities has things they’d like to borrow. So, let every local library start loaning those things out physically or via the use of digital media. How about you? What’s your favorite ways to scale sharing? This was a great post! I am really happy to have learned about these Stop n Swap events in NYC- definitely something I want to get involved in! Not to mention, it’s just a great way to meet new people in the city. I am with you on a community utility closet! Especially in NYC, where space is so limited, it makes sense to share the bigger items that we don’t use everyday. My request to the software gods if for an app where you can easily give and get supplies when faced with the ever-so-frustrating task of moving! Need boxes? Come get ’em! Anyone have bubble wrap? Thanks! And I need a Swiffer for my building’s community utility closet! Thanks and keep up the great work, Jacquie! Hi Jacquie, sharing is caring as the trite saying goes. Yet, in our piggish economy owning is a sign of success or luxury. This narrow-mindedness is not our fault but developed from the once well-seen American Dream: if we work hard, we can acquire (purchase) it all. Therefore, sharing has grown negative connotation roots of which would be difficult to enforce in this current greedy society. As I always say one step at a time. In using a few of the mentioned alternatives, I can visualize myself getting something started in my community. I see this sharing-renting-borrowing economy has having an additional purpose: building community! I couldn’t point out most of my floor-mates on the street. The possibilities of building community around shared needs and shared resources feels like a major benefit beyond waste reduction. Plus, I think of all the knowledge and skills that would also be shared in the exchange of all these useful good. Hmmm, I’m feeling awfully inspired! Great ideas here. I love it when technology can serve to facilitate this sharing economy. In my local tight-knit community, we used Facebook to create a SWAP Meet page for sharing, trading, or selling items at very low cost. Ours is a closed group, by invitation only, and limited to two zipcodes. Members swap or sell just about everything: non-perishable food and household products, children’s items, furniture, pianos, building supplies, clothing, home furnishings, tools. Many items are put up as “Porch Pick-Ups,” in which members leave items on their porch or at the curb and others swing by for the free items or drop petty cash into an envelope. It works on an honor system and that works because everyone knows at least two other members. We have 10,000 members! Yes, there are two monitors who manage this crowd, and members are sometimes removed. In our ten-mile radius, we have kept a great deal of waste out of the landfills. These are great ideas to reduce unwanted items out of landfills! I especially like the libraries of lending things like musical instruments and sewing machines. This offers a great incentive for people to pick up fun hobbies and try new things without spending a fortune. Too often people buy musical instruments thinking they will practice for a long-run but then give up and having their instruments thrown out. This is a great idea to allow people to experiment before committing! Also, if you can’t recycle or swap your unwanted items, ‘trash’ can be a great material for an art project. Personally, I like the idea of beautifying a space with waste. In San Diego we have a boat sharing club for those who want access to a variety of boats without having to won one. It’s a great example of the sharing economy expanding into new areas! What I like about this idea, David is that it’s not only a good way to more fully utilize resources and give potentially more people access to things that they can’t afford or don’t want to own for whatever reason, but that it can be an entirely new form of economic activity. We need to keep reinforcing this with the product obsolescence folks! Thanks for submitting — J.O.